Hamid Gul remained ISI chief during 1987 and 1989 when the US-backed Afghan Jihad against the then Soviet Union was at the last stages, The Dawn reports. Pakistan lost it's brave army man and a true patriot last night. The most famous ex ISI chief, 79, died in a Murree hospital. Family says cause of his death was brain hemorrhage. 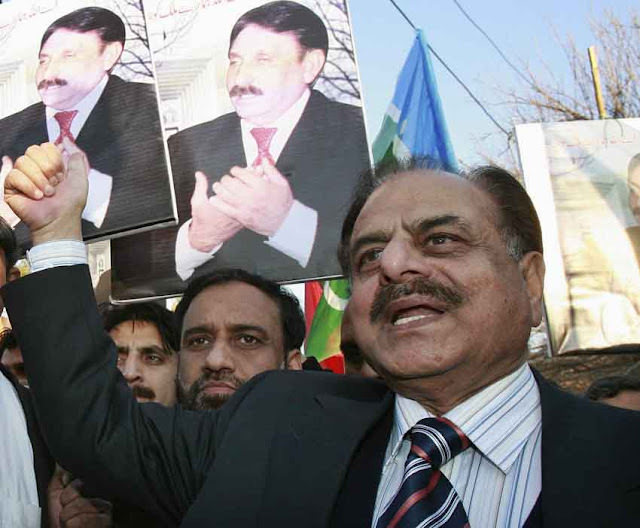 "(Prime Minister) Nawaz Sharif has expressed his heartfelt condolences over the sad demise of ... Hamid Gul," the ruling party's media office said on Twitter. "The prime minister prayed eternal peace for the departed soul and said that may God bless the deceased." Legislator Arif Alvi tweeted that Gul had died on Saturday night of a brain hemorrhage at age 79 and called him "a great man". On the other hand, many patriots paid tribute and condolences for the brave army man. On Sunday morning tributes were paid to late ISI chief, who was very active on TV after retirement.Those tributes will anger Afghanistan and India, who saw Gen as Pakistan's most senior and vocal backer of militancy in their territory. In a report by Reuter, Gul worked closely with U.S. and Saudi officials to strengthen Afghan fighters against the Soviet military when he headed the feared military intelligence agency, the Inter-Services Intelligence, from 1987 to 1989. Some of those fighters later joined the Taliban insurgency. Towards the end of his posting, officials began diverting men and guns from the Afghan war towards budding militant groups like Lashkar-e-Taiba, founded in 1990 as a separatist movement in Indian Kashmir. They also said that he was defender of Taliban and Kashmiri militants while called 9/11 as a jewish conspiracy.